The release of Apple's computer-based textbooks last month had the usual technology triumphalists buzzing. "Apple And The Coming Education Revolution," blared the headline at Fast Company magazine. "Apple puts iPad at head of the class," screamed MacWorld. And Time magazine declared the announcement the "debut (of) the holy grail of textbooks." It sounds exciting — a rise of the machines that promises educational utopia rather than "Terminator"-style cataclysm. Though it may be too soon to definitively answer that question, it's not too soon to ask it. Because despite the celebratory hype, there's no guarantee that a hyper-technologized education system is synonymous with genuine progress. Ponder, for starters, the much-discussed issue of financial efficiency. As the tech website Gizmodo noted in a post titled "You Can't Afford Apple's Education Revolution," the new iPad-based books might "only cost $15 a pop," but "instead of selling an updated textbook every 5-10 years for $100, (publishers will) update and sell every year for $15," and "it's not like you can hand down an iBook from year to year ... you expressly can't." It's the same story with so many other vaunted education-branded technologies: They seem to promise resource-strapped school districts a way to constructively reduce expenditures, but the dazzle of flashy gadgets and interactivity often means budget-busting costs over the long haul. Those costs might be justifiable when a new device is a sure bet to improve education. But a school's wager on computer technology as a pedagogic panacea is often just that: a blind gamble, and one that evidence shows is hardly safe. Here in Colorado, for instance, the non-profit I-News Network recently reported that students attending the state's "full-time online education programs have typically lagged their peers on virtually every academic indicator, from state test scores to student growth measures to high school graduation rates." Stanford University researchers found similar results in their separate study of online schools in Pennsylvania. And after its exhaustive national investigation of the trend, The New York Times concluded that "schools are spending billions on technology, even as they cut budgets and lay off teachers, with little proof that this approach is improving basic learning." In lieu of empirical data, why are schools rushing into this brave new world of technology? For one thing, there's the allure of a quick fix, as gadgets seem to hold out the possibility that school districts can sustain huge budget cuts without sacrificing quality tutelage. The idea is that teachers can be replaced by cheaper computers, at once saving schools money, preventing tax increases for school resources, and preserving educational services. Even if data prove that's a pipe dream, the desire for a cure-all has convinced many desperate schools to chase the fantasy. There's also political pressure from high-tech companies that, according to Education Week, "are thriving in the K-12 market." As the Investigative Fund's Lee Fang recently documented, these firms use some of the loot they're generating to finance state-based political front groups, hire lobbyists, and employ has-beens like Gov. Jeb Bush as their public representatives. The result is a powerful political infrastructure that pushes state legislatures and local school boards to divert money away from proven education tools (teaching staff, textbooks, etc.) and into risky technology procurement. There's little doubt, of course, that some technologies may end up bringing about genuine advancements in education. But that possibility is no reason to suddenly ignore Ronald Reagan's notion of "trust, but verify." After all, before it was the Gipper's, that motto was the mantra of the most devoted science and technology geeks — just as it should be schools' mantra now. 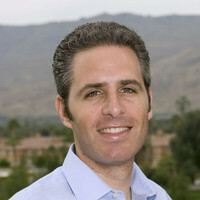 David Sirota is best-selling author of the new book "Back to Our Future: How the 1980s Explain the World We Live In Now." He hosts the morning show on AM760 in Colorado. Email him at [email protected], follow him on Twitter @davidsirota or visit his website at DavidSirota.com.